I truly can't believe that this was the last shoot of 2017! What an incredible year and these two were the perfect couple to top it off. You see they got engaged the day after Christmas last year so it just felt right to do their engagement session during the Christmas season. Not to mention they picked the most GORGEOUS spot as their backdrop! I still can't believe that this was my first time to Powder Point Bridge in Duxbury. The beaches were empty and we had the whole place to ourselves. 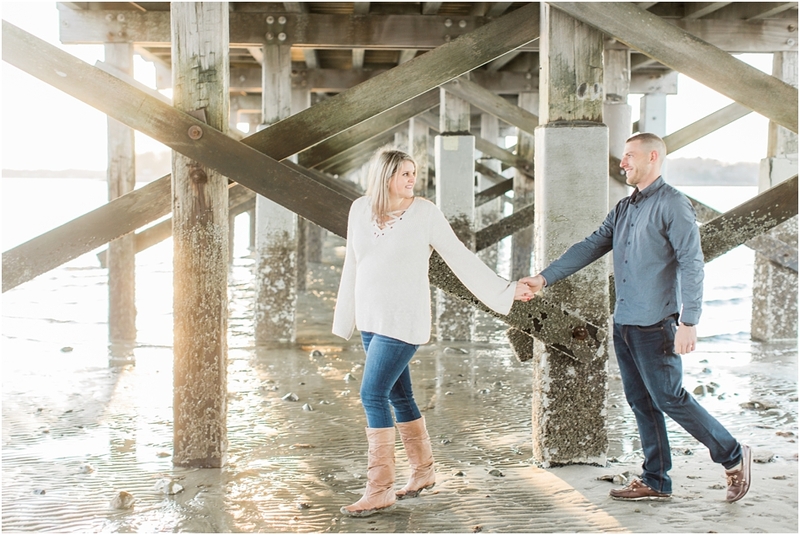 The exact opposite of what it will be for their July White Cliffs wedding!